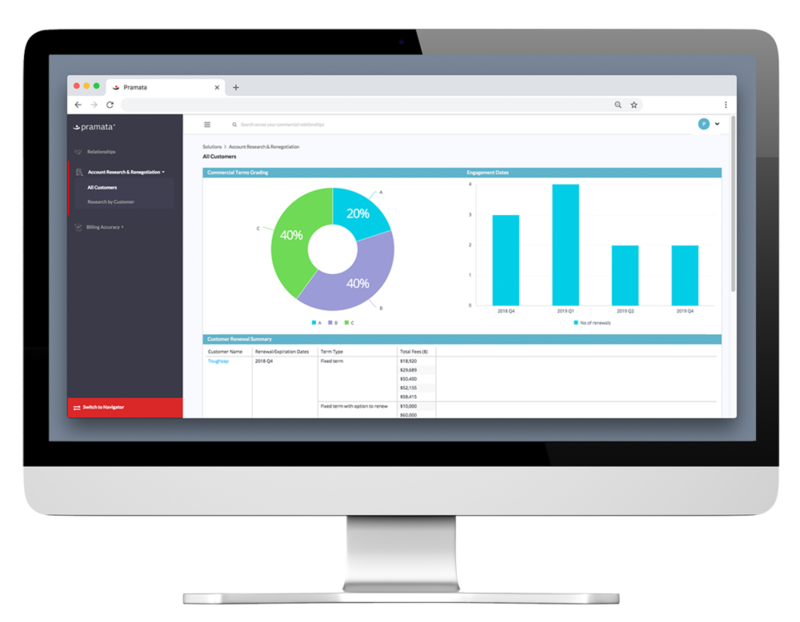 With our Fall 2018 Product Release, Pramata introduces the first and only commercial relationship platform of its kind. Now large B2B enterprises can quickly deploy configured solutions that help them identify and resolve specific sources of revenue leakage using a deeper, up-to-date and complete understanding of their customer relationships. This release includes our next generation platform and intuitive user experience called ‘Voyager’ that empower sales, billing and finance teams to quickly connect the commercial relationship dots between contracted agreements and actual billing and sales activities, then take action to capture that revenue. “Companies have tried to solve the revenue leakage epidemic for a decade by patching together multiple technologies, combining that with countless manual steps requiring armies of people, only to find the data they’ve collected has gone stale after a month. and see our next gen platform and enhanced UI Voyager up close and personal.